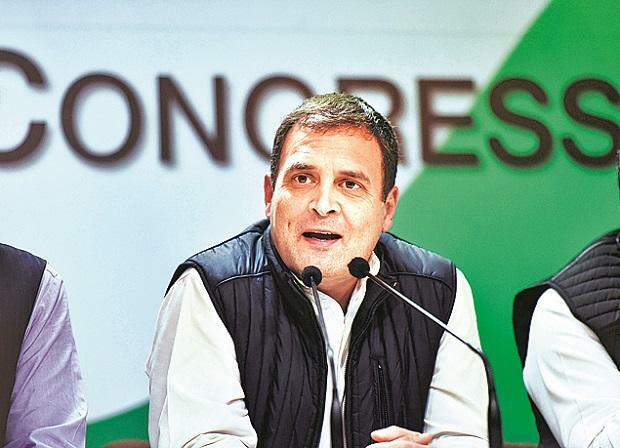 The Congress in Kerala has proposed AICC president Rahul Gandhi's name for the Wayanad Lok Sabha seat, a party bastion in the state, but he has yet to respond to the request, senior leaders said Saturday. Talking to reporters in Pathanamthitta district, AICC General Secretary Oommen Chandy said the Kerala Pradesh Congress Committee (KPCC) has requested Gandhi to contest from Wayanad but he has not commented on the proposal. There is a demand from party leaders that Gandhi should contest from any of the South Indian Lok Sabha seat and "we have requested Gandhi to contest from Wayanad seat," he said. "He has not commented on the request so far. But we expect that there would be a positive response," Chandy said. The party, which is contesting 16 out of 20 Lok Sabha seats in Kerala, has announced the names of 14 candidates but has not declared its candidates from Wayanad and Vadakara. He also said the matter was discussed with senior party leaders including A K Antony. "I once again request Gandhi to contest from Wayanad. Congress president contesting from Lok Sabha seats in South India and North India will strengthen national unity and integration," Chennithala said. Gandhi's candidature from Wayanad will energise the Congress party in South India and thus the party can win majority of seats from the region, the leaders said. The Congress had earlier proposed T Siddique, the Kozhikode DCC president, for the Wayanad seat but he has backed out. Siddique said he also wants Gandhi to contest from the Wayanad seat. The election convention of the party-led UDF for Wayanad constituency will unanimously urge Gandhi to contest from the seat, he added. The Congress state units in Tamil Nadu and Karnataka have also demanded that the party president contest the Lok Sabha elections from the respective states. The Congress earlier this month had announced that Rahul Gandhi will contest from his bastion Amethi and Sonia Gandhi from Rae Bareli.